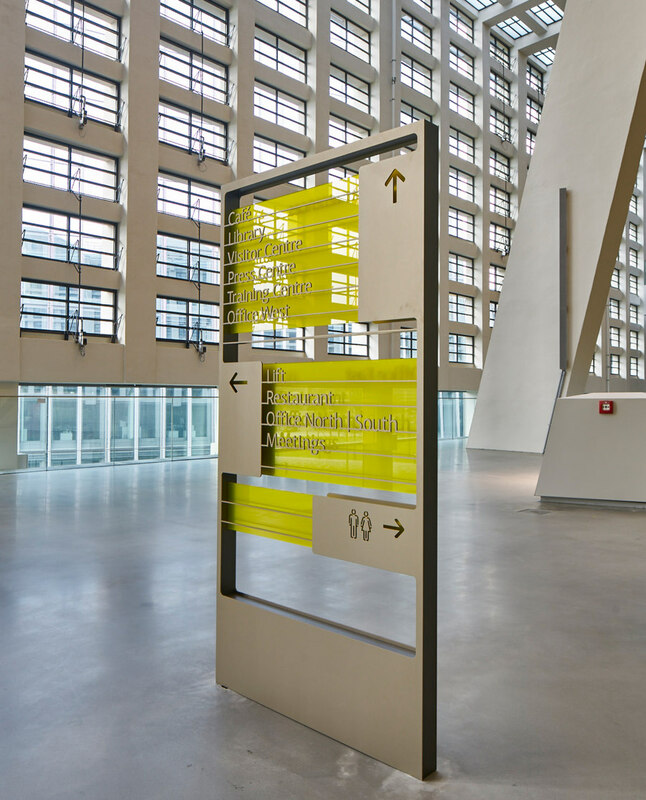 With its spectacular architecture and successful integration of Martin Elsaesser's historic Wholesale Market Hall, the headquarters of the European Central Bank, designed by Coop Himmelb(l)au, has made its mark on Frankfurt's skyline. 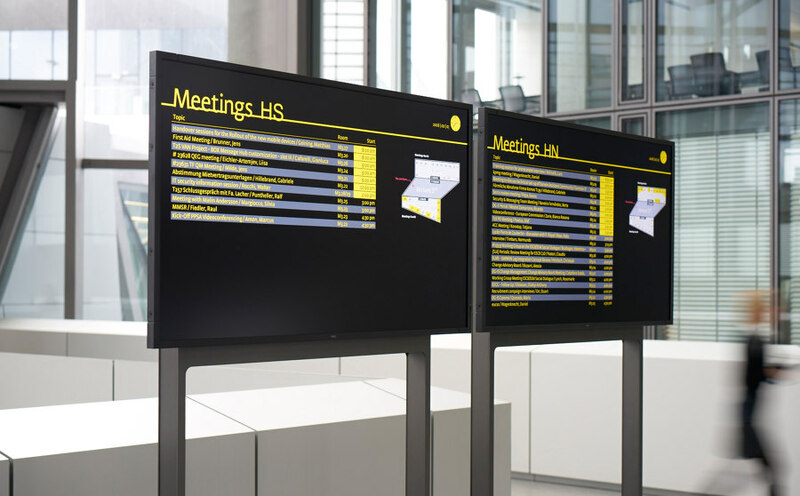 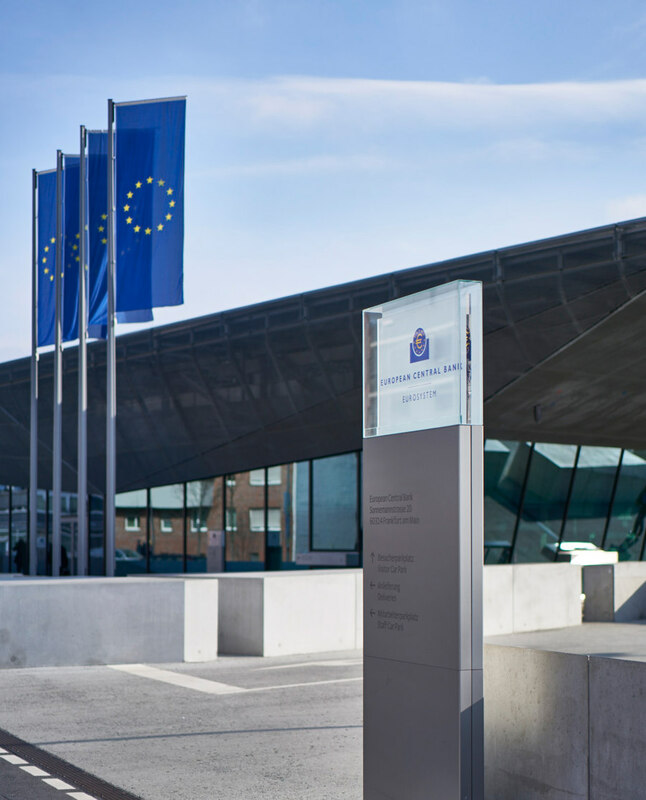 Following an international selection process, unit-design was commissioned in 2007 to design the signage and information system as well as the branding on display inside and outside the new ECB. 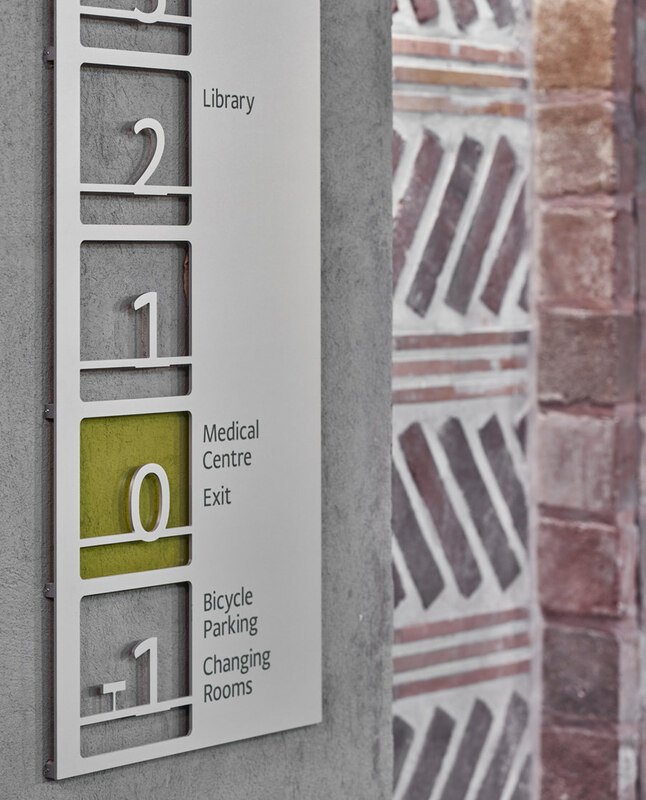 Alongside the functional task of ensuring an intuitive means of orientation for visitors and employees, our design complements the architecture with stand-alone elements with a distinct presence. 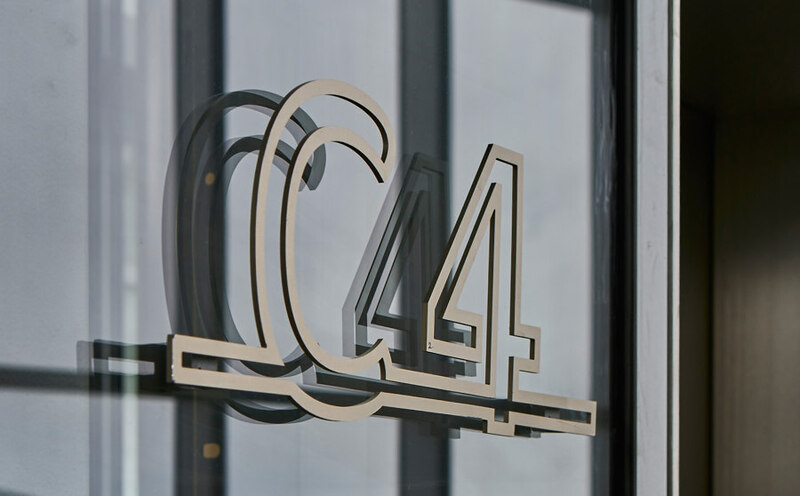 Three-dimensional lettering that appears to float in mid-air has a striking effect, reaching a considerable distance despite its transparency, and lending an identity to facilities such as a restaurant or conference room. 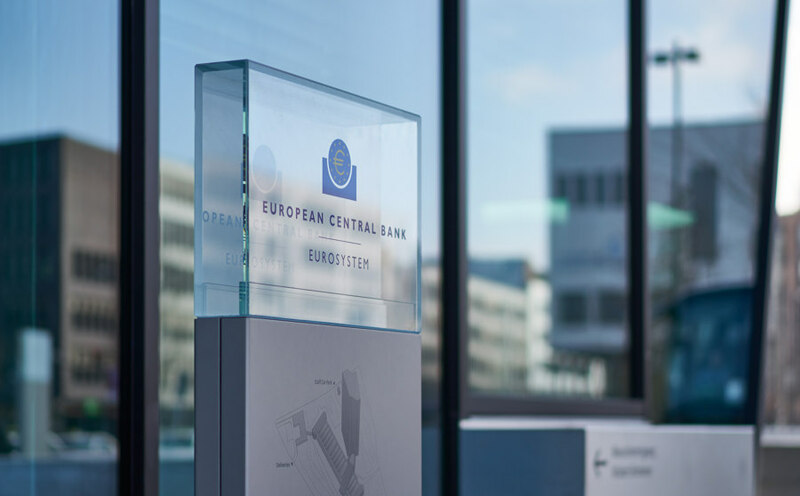 In addition to developing the orientation system for the seat of the European Central Bank, unit-design has taken on the task of making the ECB, which is more a European institution than a conventional bank, more recognizable as the occupant of the building. 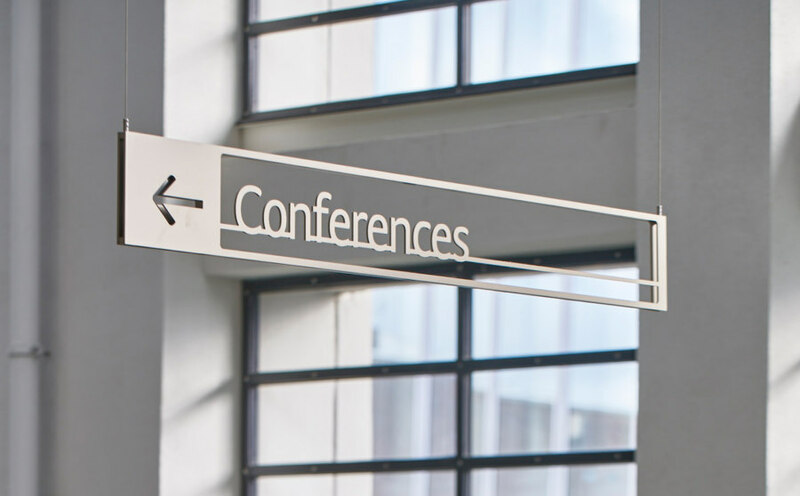 The pylons in the outdoor areas play an important role in this. 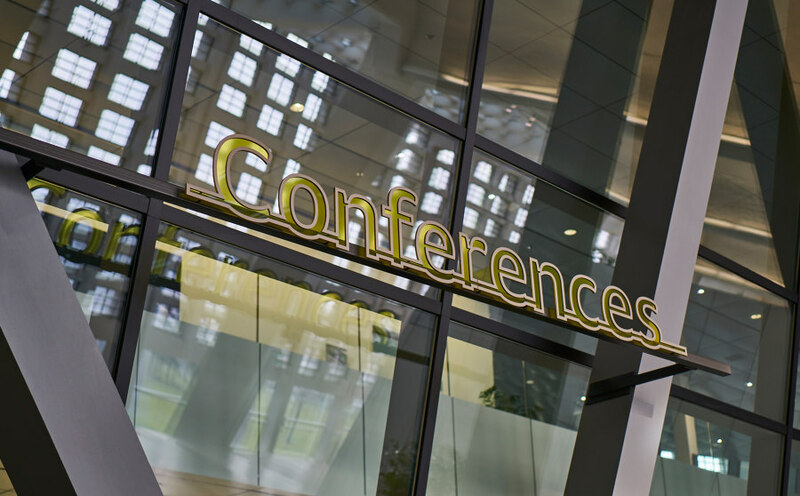 The bank's logo together with the building have now become one of the city's best-known visual themes, with every news story starting with the camera panning over the logo to take in the entire building.